Receiving the award invoked a great feeling of warmth and gratitude that I had been recognised by the community I have worked with and amongst for many years. The effect is still there. Even knowing that I had been nominated made me step to one side mentally to really think about what to do next in addition to running Science Projects, and I resolved to spend more time in the workshop, ‘Noodling about’ was how Paul Orselli put it. My brain was off to a good start with the invention of my ‘photon maker’. This took about ten minutes to think up and involved bending welding rod around some pegs to make a photon like snake. 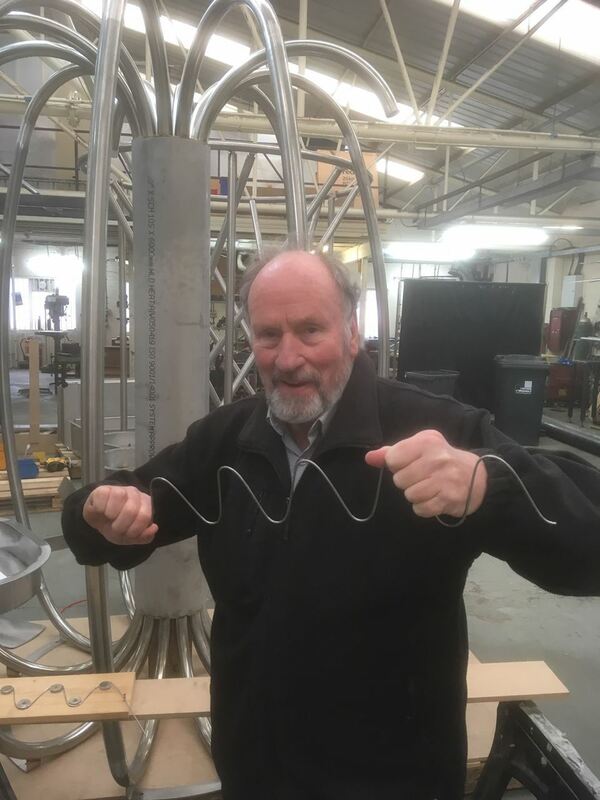 A photon (I might call it a Pizzeytron) can be produced in 20 seconds and with a bit of arm waving they can be used to demonstrate interference, red shift, blue shift, coherent and incoherent light and an E/M wave. It was shown at a rowdy gathering of fellow Science Festival performers in a bar in to great applause. As mentioned in the publicity I am also picking up my interest in ‘Science in The Landscape’ which was the subject of a personal grant from Nesta. This resulted in being invited to organise a conference on theme for the Nordic Science Centres in Iceland and initiate a practical workshop on the streets of Minneapolis/St Paul for ASTC on the theme Science in the urban landscape. I would like to organise another practical workshop or meeting under the banner of the Beetlestone Award. At a recent meeting of the ECSITE space group involving delegates from ESA I thought that there may some opportunity from an Earth resources perspective, I will have a word. I wish the next Beetlestonian all the pleasure and inspiration that I have received from my award. Image above - Science in the landscape. 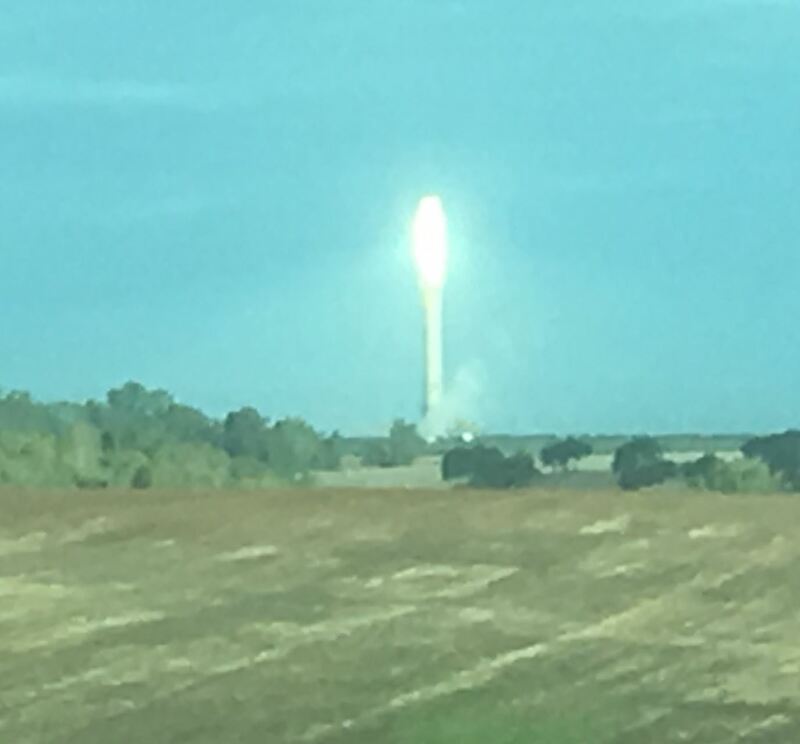 Solar power tower spotted on the horizon near Seville.